The 2014 pilgrimage was joyously bittersweet. 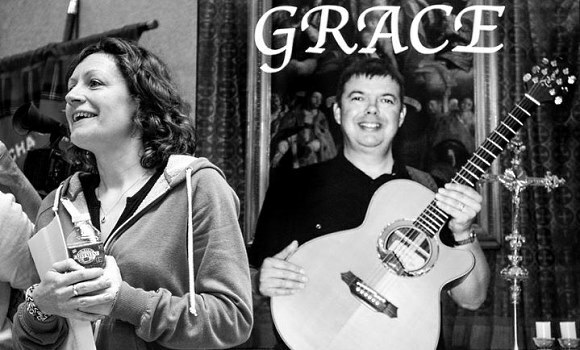 Jo Boyce returned from her brief sabbatical to lead the music ministry team alongside Andy Ross and Dan Callow. Yvonne Stanley (Mike’s wife) and three sons were with us for the launch of Mike’s posthumously released album, Grace, in the place that was very much like a second home to him. 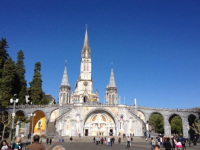 The pastoral theme in Lourdes this year is “The Joy of Conversion” – carrying echoes of Pope Francis’ Apostolic Exhortation: “The Joy of the Gospel“. In planning for the liturgies we chose the Beatitudes as “sign posts” on our journey of conversion and transformation. 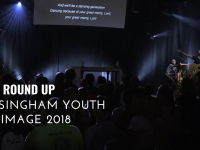 To carry this theme through the week, we began each of a liturgies with a short prelude: a reflection of the Beatitude of the day prepared by young people from one of the schools with the refrain from Blest Are They by David Haas as a sung response. The theme was also carried through the week by our sung response to the prayer of the faithful: Lord we turn our hearts to you; make our joy complete. 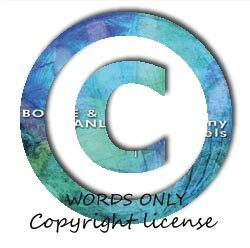 which can be freely downloaded from our website here. “Happy are the Poor in Spirit…” The Opening Mass was celebrated on the Sixth Sunday of Easter and featured and a fair bit of Latin. Credo III has become something of an opening Mass tradition for the pilgrimage. 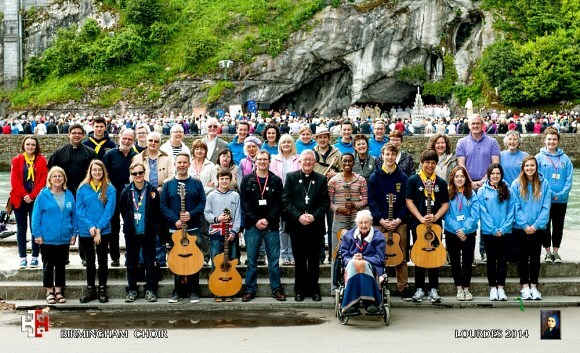 We also picked up where we had left off at the close of last year’s pilgrimage with Gloria from the Messes de Jubilee 2008, and Sanctus De Lourdes. Echoing the pastoral theme, Jo and Dan sang a prayerful début rendition of Jesus Joy of Man’s Desiring as the first Communion song. A few days later, they had the opportunity to sing it again in the underground Basilica for the Blessed Sacrament procession. “Happy the gentle…” It was raining quite heavily as we made our way toward the Podium Altar for the 9:45am joint Mass with the Dioceses of Middlesbrough, Plymouth and the Society of Our Lady of Lourdes. Musical instruments and electrical equipment don’t like the rain much, so we were praying hard that an alternative venue would be announced. Eventually we were told that Mass would be postponed to 11:00am and that it would be indoors. Alleluia! 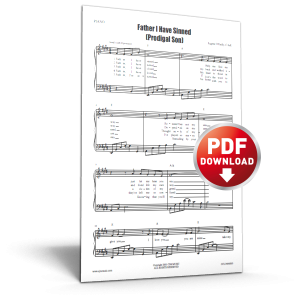 We revisited Bless the Lord, an upbeat setting of Psalm 103 that we hadn’t used in Lourdes for some time. The Gospel acclamation was an adaptation of a Callow and Anderson song, Glory Alleluia with text of additional verses written for the occasion. 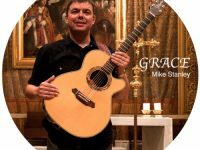 After Communion Yvonne Stanley gave her moving launch speech to announce the release of Mike’s third solo album, Grace, and sang two songs from the album with Andy and Dan. Not a dry eye in the house. “Happy those who mourn…” With barely an hour’s turnaround after a delay and extended morning Mass, we head out after lunch to the Rosary Basilica for the Holy Hour and Anointing of the Sick in the presence of the Blessed Sacrament. It seemed just the place to be after the emotions of the album launch. We sang Sweet Sacrament Divine with full voices and full hearts – “where restless yearnings cease, and sorrows all depart”. Mike’s songs Radiance and Sing Over Us somehow, had a new resonance. And Marty Haugen’s Healer of Our Every Ill echoed through the Basilica as the priests moved among the sick pilgrims to anoint them on their forehead and hands. Many of us sang Iona Community’s We Cannot Measure How You Heal with tears in our eyes. Yet, moments later – with grateful, hope-filled hearts – we were raising the roof with a rousing rendition of Graham Kendrick’s Rejoice! Rejoice! Christ in is You. “Happy those who hunger and thirst for what is right…” We celebrated the Hospitalité wonderful ministry of the care of the sick as we kept the feast of St Augustine of Cantebury. The fabulous text of The Summons always seems to capture the essence of what it means to serve in the Hospitalité. 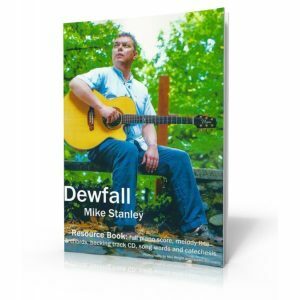 Mike Stanley’s Like the Dewfall served as the perfect backdrop to the presentation and preparation of the gifts, as we acknowledged together that it is God’s spirit that bears the fruit of service in our lives. In the Gospel reading we heard the sending out of the 72 labourers for the Lord of the harvest. As Jo sang You Are My Hands during Communion, we were reminded that the same call is ours today, as we follow our Servant King. “Happy those who are persecuted in the cause right…” Ordinarily, Wednesday would have been the mid-week “day off”. This year, however, with the Feast of the Ascension occurring on the Thursday, the International Mass was moved – and so was the “day off”. Thanks to the wonderful pilgrims of Mac’s group, the Seven Dwarfs put in an appearance during the homily. Oddly though, they were ALL called “Happy” because they had discovered the joy of conversion. For many of the younger pilgrims, Darrell Evans’ Trading My Sorrows, which we sang at the offertory, became the anthem of the week: “I’m laying it down for the joy of the Lord”. Mac’s Mass always tends to have a few retro folk hymnal classics in it. 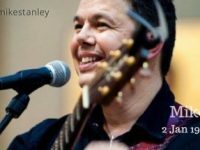 As we sang Carey Landry’s Only A Shadow at Communion, the words “the joy I feel today my Lord…” echoed all the more profoundly in the light of the theme for the week. And what else could we have ended with but Give me Joy in my Heart? “Happy the merciful, the pure in heart, the peacemakers…” We opened our service of reconciliation with The Kingdom of God is Justice and Joy, with it perfectly fitting text by Bryan Rees (1911 – 1983). Our liturgy of the Word and examination of conscience was designed around three of the Beatitudes, with a song for each of the three “moments”. We sang Steve Croskey’s setting of the Our Father as we reflected on what it means to be merciful and forgive as we are forgiven. In response to the challenge to be pure in heart we sang Purify My Heart (Refiner’s Fire) by Brian Doerksen. Responding to the call to be peacemakers, we of course sang Make Me A Channel of Your Peace. 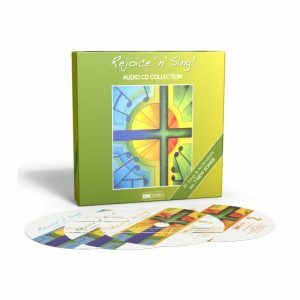 During the time allowed for individual confessions, we sang almost every song of reconciliation and repentance in our repertoire, beginning with Marty Haugen’s poignant litany, Turn My Heart. “Happy are you when people persecute you …” After our Thursday off, we came together for what would be the last time on this year’s pilgimage, opening with a rousing, organ-led rendition of Praise We Our God With Joy. Our responsorial Psalm was a canticle from Isaiah which also occurs after the fifth reading at the Easter Vigil: With Joy You Will Draw Water. Having sung only the refrain of Blest Are They throughout the week, as the prelude to each liturgy, we actually sang the whole song in this closing liturgy, as the culmination of our joyous journey of conversion and transformation. And What a week it was.